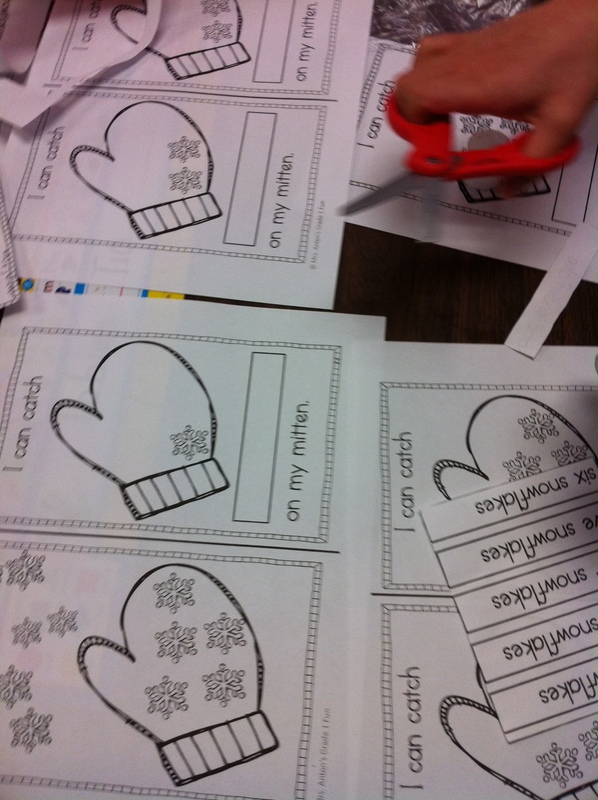 January | 2013 | Mrs. Anton's Class! Over the past week or so we have been continuing to work on our Winter theme. 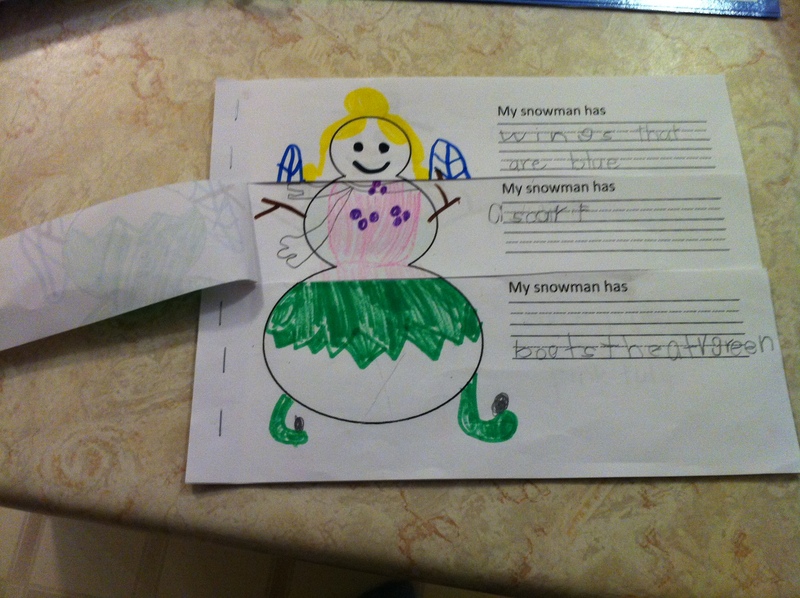 We have really been having fun with snowmen! Some of the snowmen for our snowmen project have been coming in and they are fabulous! 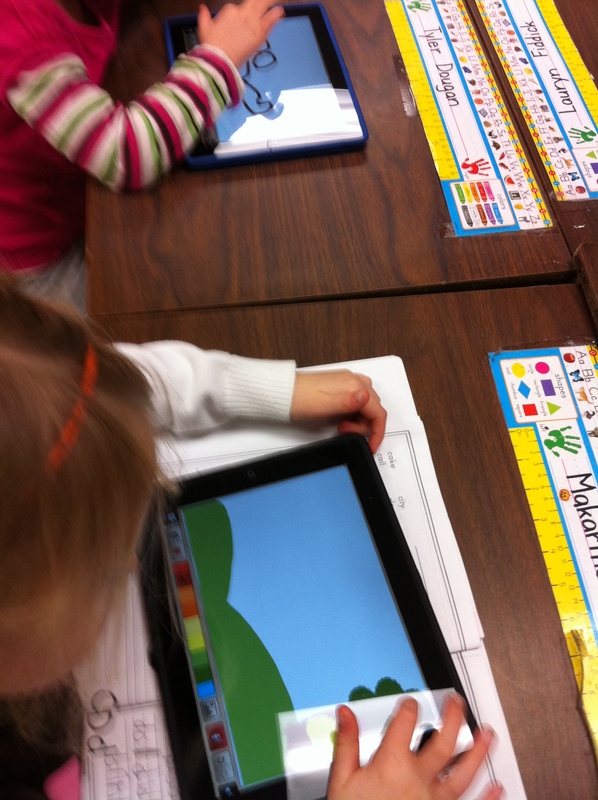 We will be incorporating them into a writing project that we are creating with the iPads. 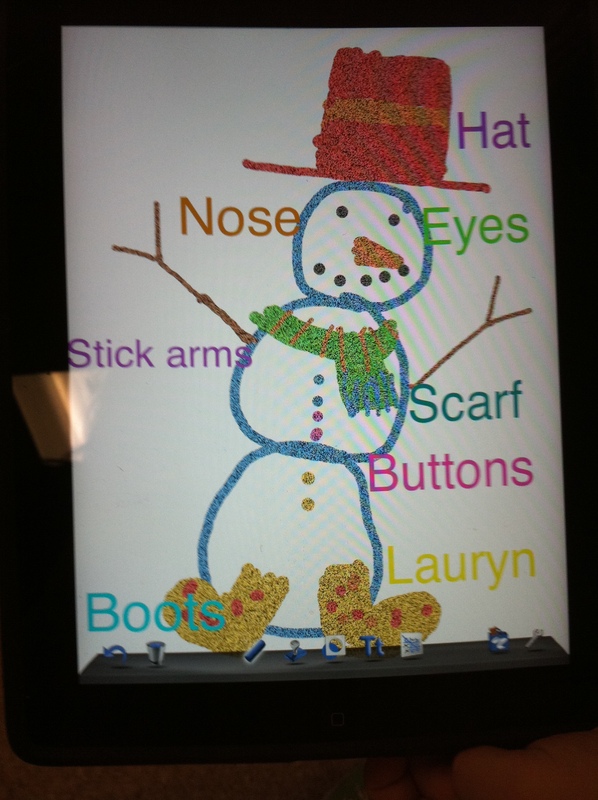 One of the first things we have done is to draw diagrams of snowmen using Doodle Buddy on the iPads! 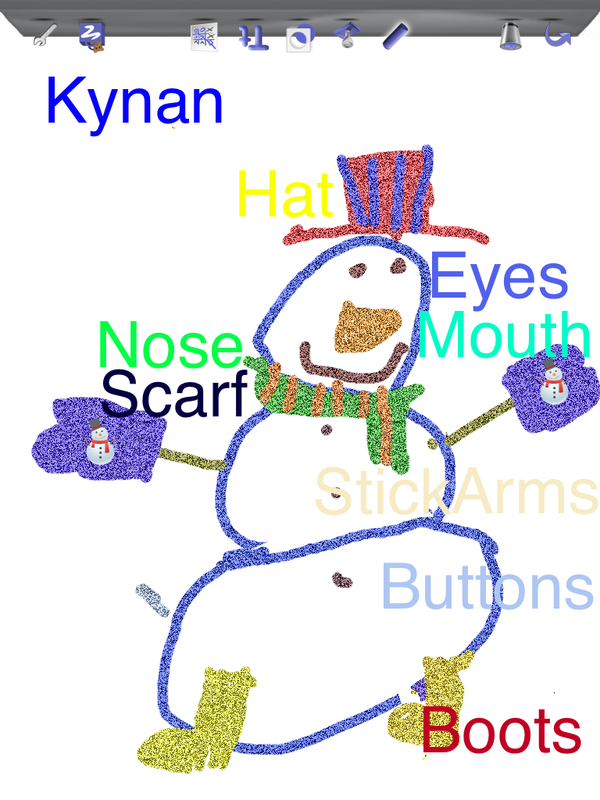 The children first have to draw the snowmen and then learn how to use text boxes to label them. Quite an operation! The children have to learn how to create text boxes, add text, and then move the text box to the correct spot to label the picture. 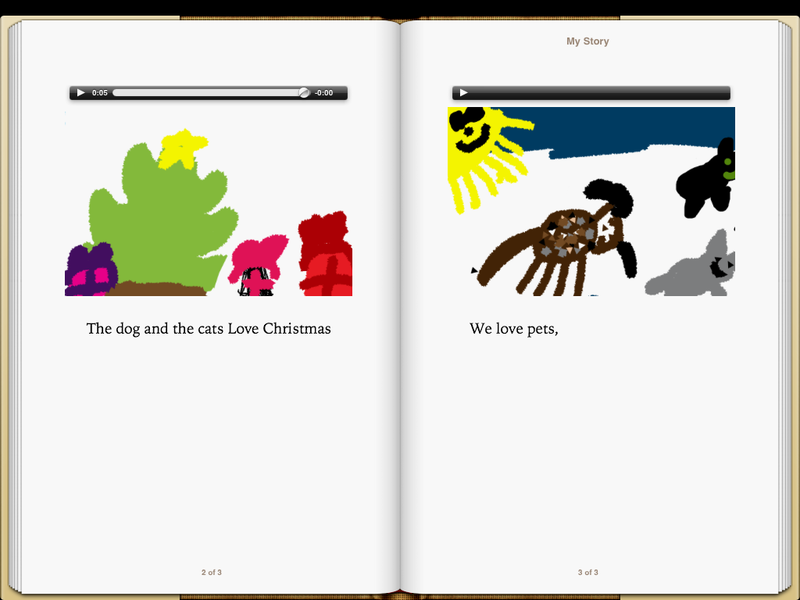 Then we take a screen shot of their product so that we can use it in our book project! 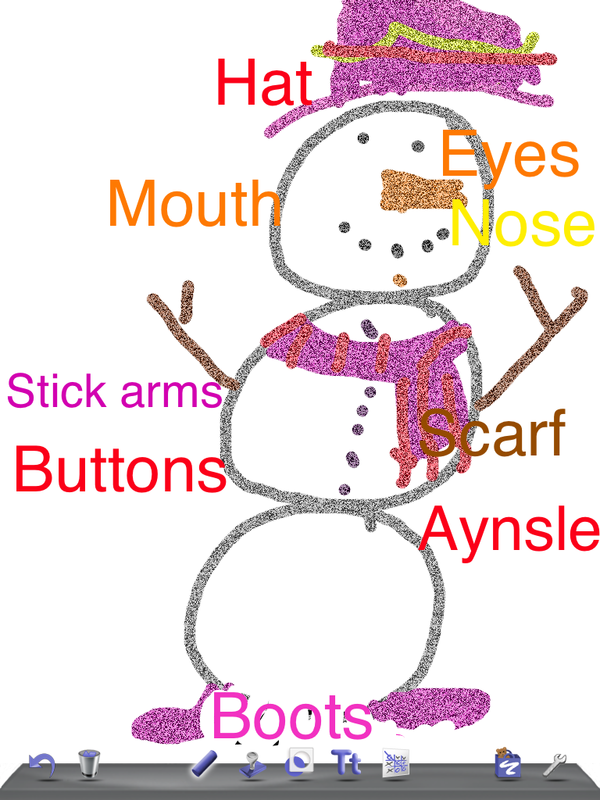 The children have also been working on the app My Story to create a “how to” book on How to Make a Snowman. We learned how to create a story board to show what we wanted to create and what needed to be incorporated into each page. Almost all of the children have completed the books and I hope to email them to you this week as soon as they are done! We had some help figuring out why we couldn’t email them which was really appreciated! Thanks, Ryan! 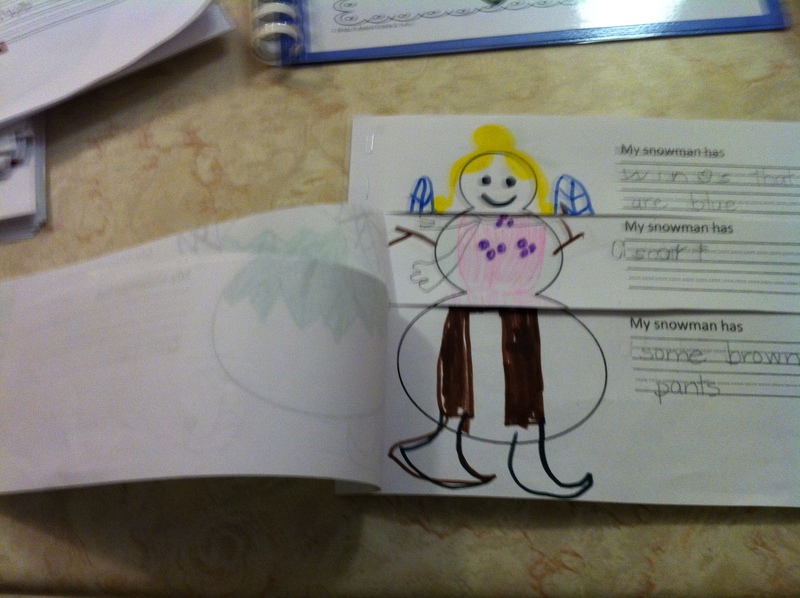 We also created a snowman flip book that is in the final stages of completion and should make it home to you shortly! They did a fabulous job! Four snowmen turn into many, many snowmen with three cuts! They had a good giggle at all the different snowmen they could create! 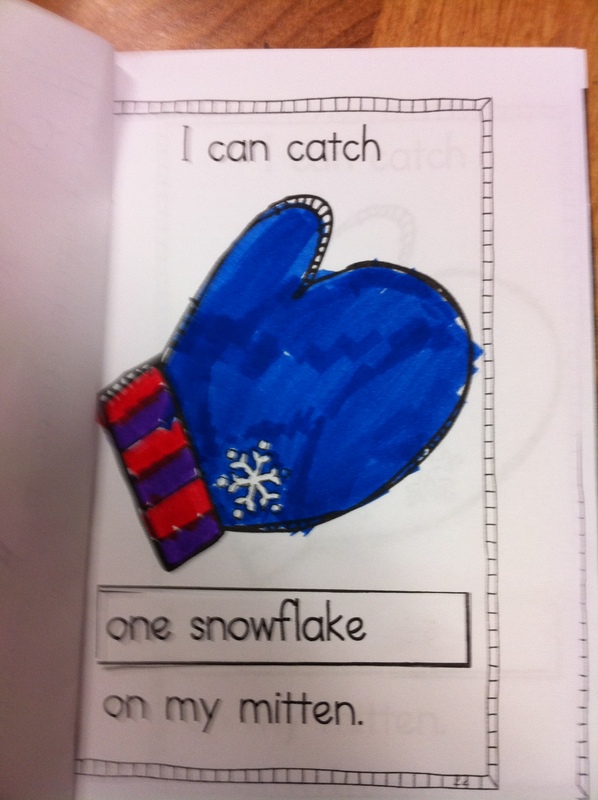 We also made a little mini book about snowflakes to practise learning about plurals! 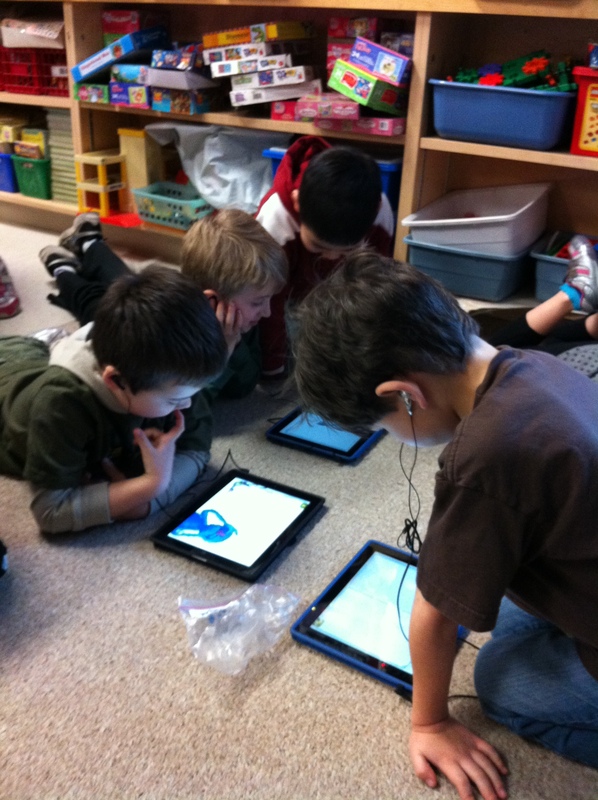 During silent reading time we have been using the iPads! 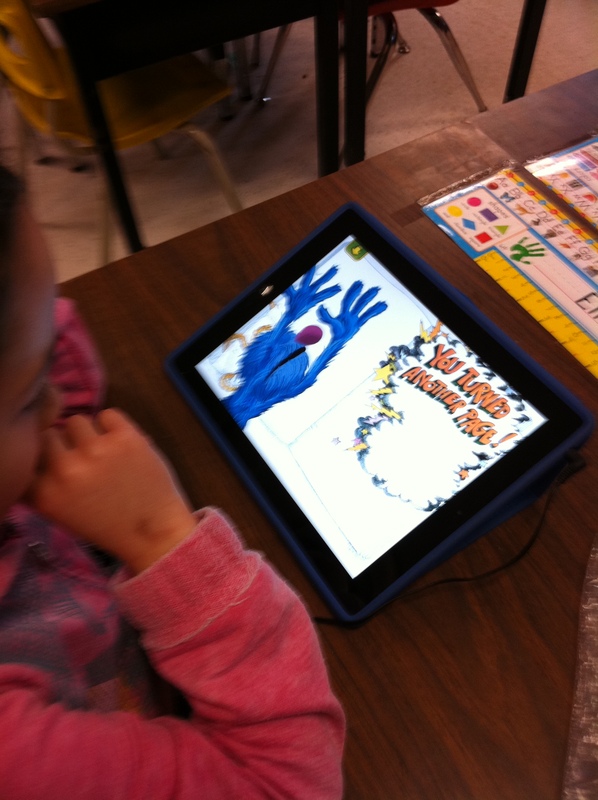 On Friday, the children used the app The Monster at the End of this Book which is a fantastic little app. I never get tired of it and it was a treat to listen to all the giggles when the children were viewing the book. I like this app because it highlights each word as it is being read to the child. We use our headphones during silent reading time so all I can hear is the giggles! You can see that they are spellbound by the story! 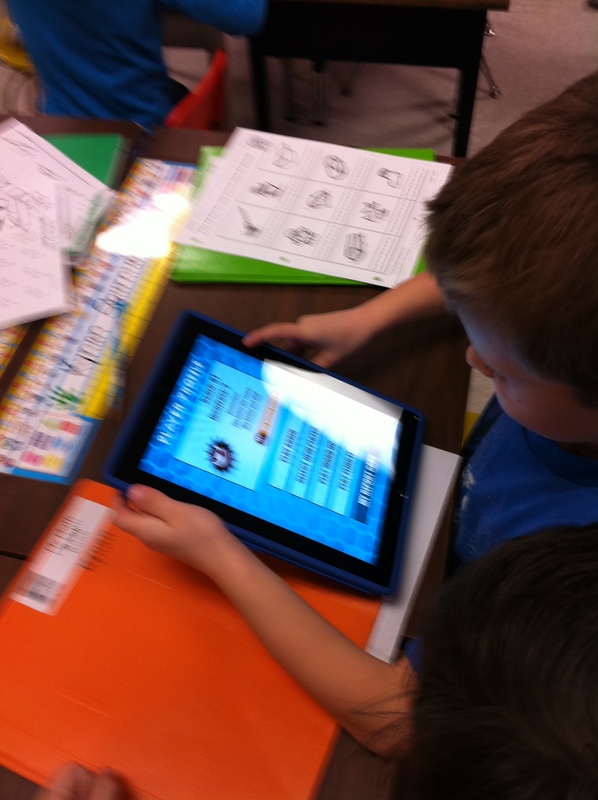 Reading, Writing, and Arithmetic Ipad Style! 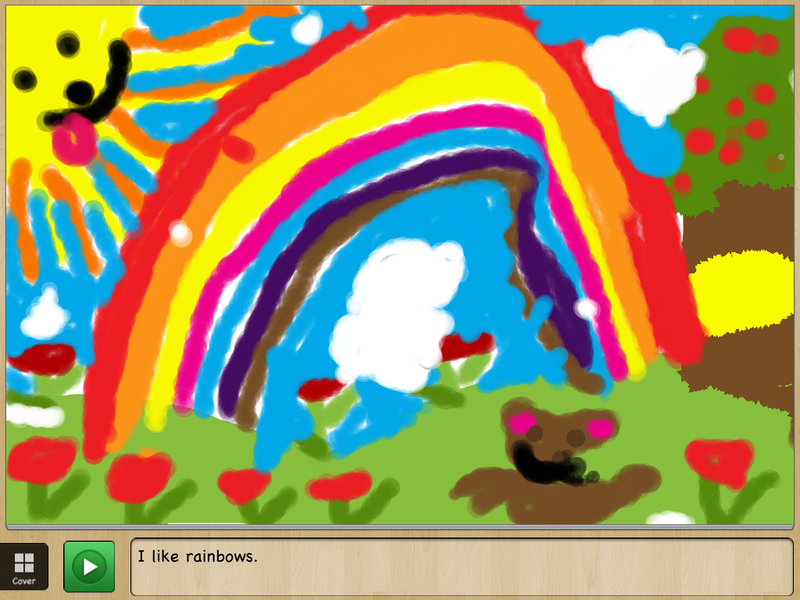 Then we did some work with a neat program called DoodleCast. I love this app. 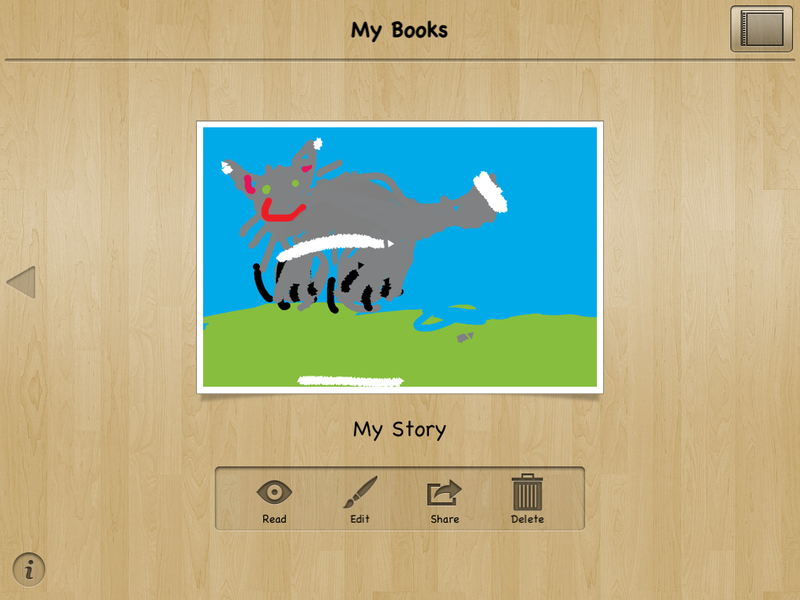 It provides a picture prompt for the children to get started drawing. Then it records all their drawing AND it records them talking about their drawing. Then they can play it back and listen to themselves. The look on their faces was priceless! I really like how it helps the students build their oral language especially when describing their work. They realized that they had to organize their thoughts and explain themselves when they listened to their efforts! Then they tried again. Each effort improved and it was fun to listen to their efforts. Mr. Brick came by and listened to a few too! The work is saved to the camera roll on the iPad and can be sent as an email too! The intermediate equivalent of this app is a program called Explain Everything. If you have ever taken a look at the Khan Academy they use a similar idea! We are using the junior version! 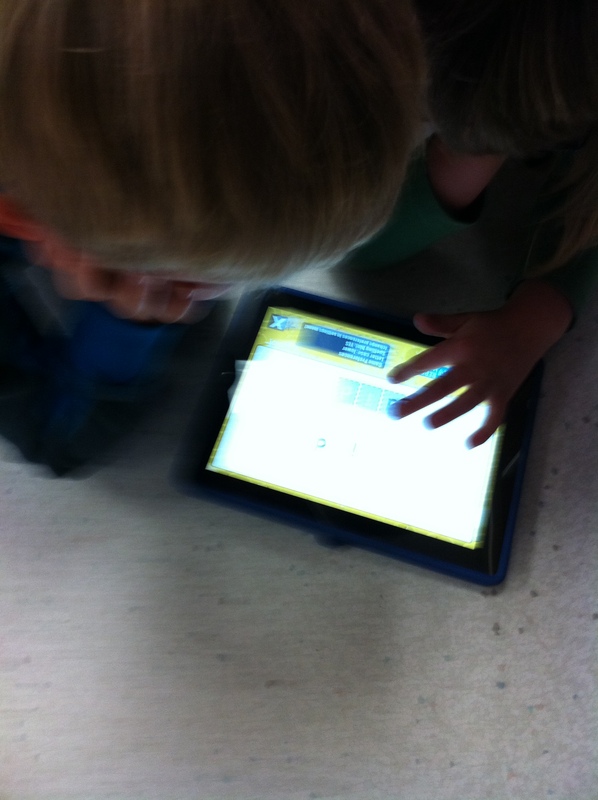 In the afternoon the children created their own math practise with Doodle Buddy. 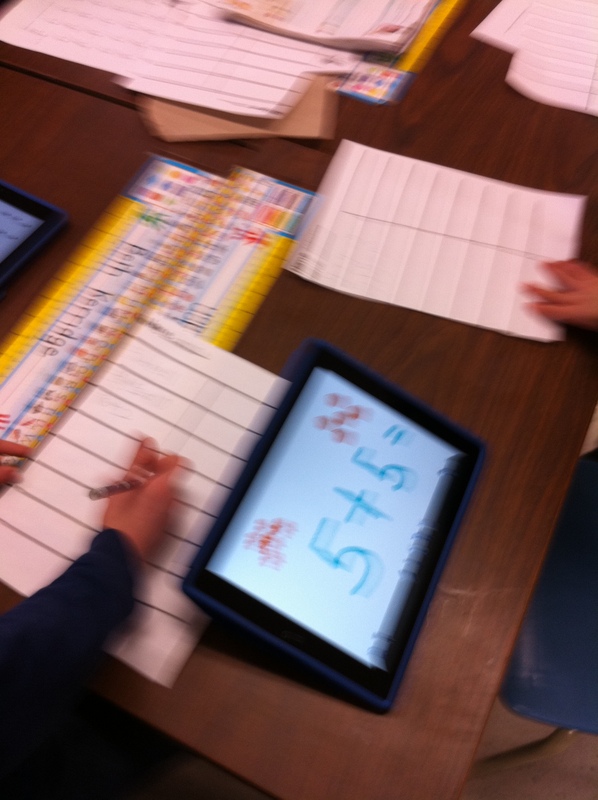 Using the stamps they created a addition story and recorded the equation. They copied down their story and then went on to copy down all their friend’s stories. Lots of counting practise and adding practise mixed up together with fun!